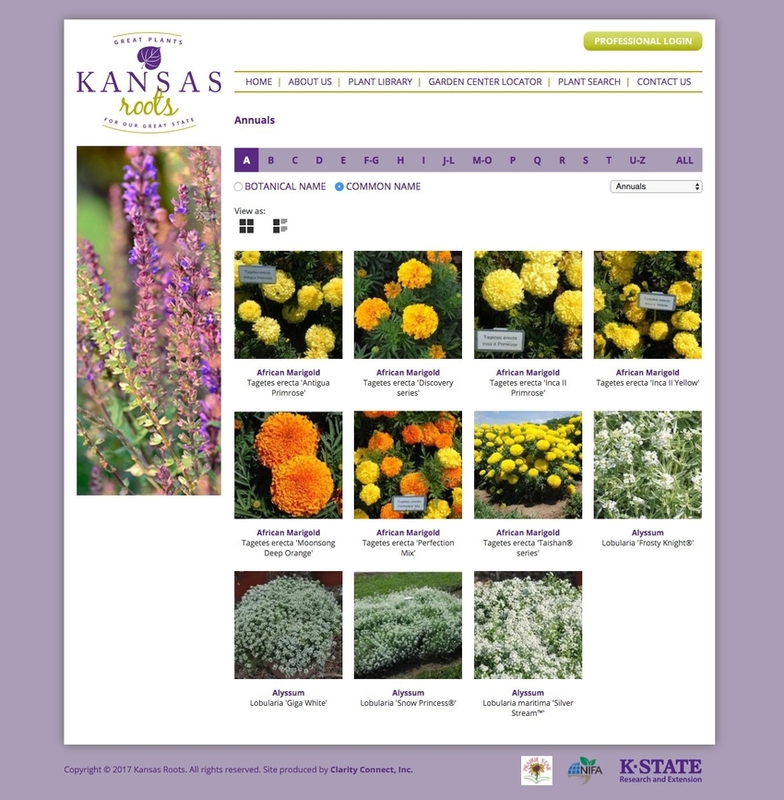 Kansas Roots was designed to curate ALL of K-State's recommended plants in one place, where consumers can plan selections ahead of time or search on a mobile device while shopping. 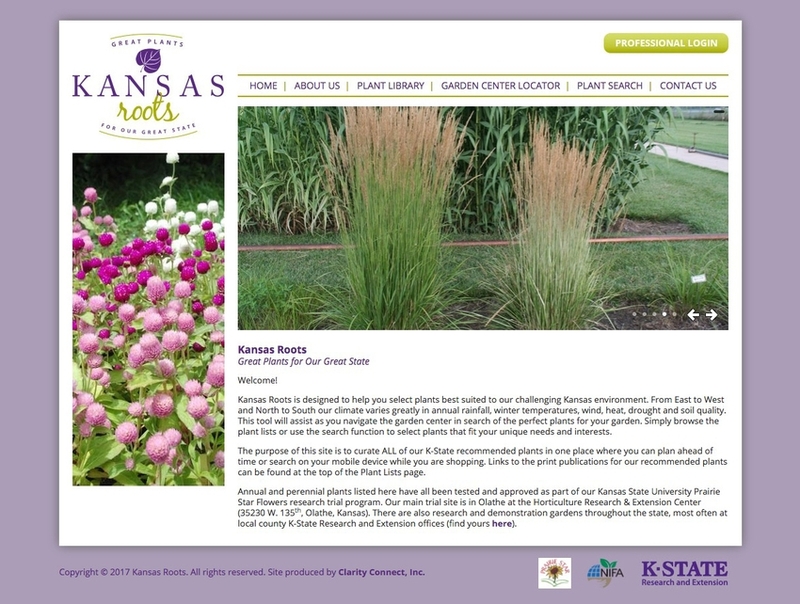 Kansas Roots provides a beautiful, searchable, mobile resource that helps consumers find plants that will thrive in their corner of Kansas, and connects consumers with garden centers, and garden centers with growers (to buy local when possible). 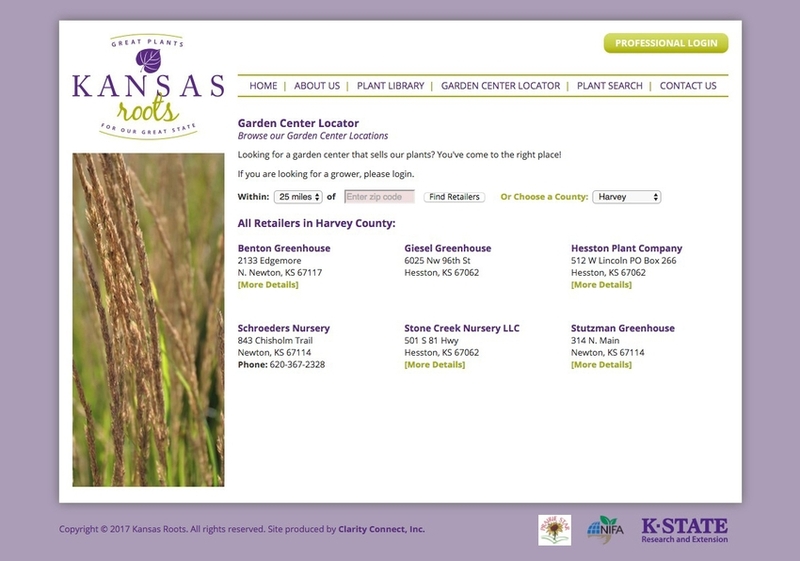 The website also provides enhanced learning by integrating solutions for pests and environmental issues where consumers can easily find and use the information.